Walk to End Hunger this Thanksgiving! Home » Front » Walk to End Hunger this Thanksgiving! What is the Walk to End Hunger? Join us as we walk to End Hunger this Thanksgiving! 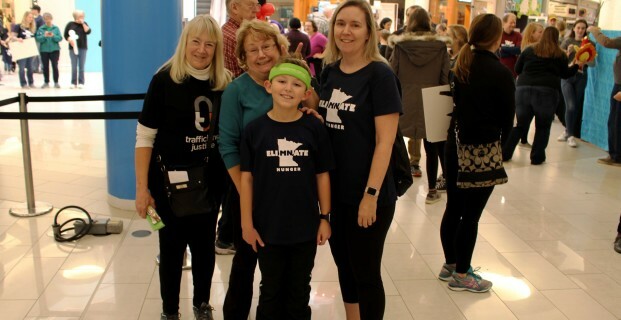 The Walk to End Hunger is a family-friendly indoor walk at the Mall of America that takes place on Thanksgiving morning. 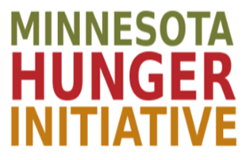 The event brings together 13 organizations, 10 of them being Minnesota Hunger Initiative partners, all with goal to end hunger in our state. The Walk to End Hunger is the perfect family event, and could soon become a new Thanksgiving tradition! Make your first stop on the Thanksgiving holiday be the Mall of America, where your family can spend time together giving back before you give thanks later in the day. There are designated “Fun Zones” stationed through the mall, so you will find something to entertain you at every corner. Some of the activities taking place during the Walk include an obstacle course, face painting, a photo booth, balloon and airbrush artists, and activities that involve putting together food packages for people who need food this Thanksgiving. The Walk is also a great chance to talk about and experience the importance of helping others with your family! Create your own team – Get your family and friends together and create your own team! You can be a general walker and have the money your team raises be split evenly between all thirteen organizations. Another option is if you already have an organization in mind that you want to support, you can head to their organization’s homepage and create a team there – this way all of the money your team raises will go to that organization. Join an already existing team – If someone you know already has a team, ask them for a link to the team page and join their team! Walk as an individual – Don’t want to create/join a team? No problem! You can walk as an individual as a general walker or for a specific organization. Head to the Walk to End Hunger website to register. After you have registered for the Walk to End Hunger it’s time to start reaching out to your network of people to support you! Utilize platforms such as Facebook and Twitter to connect with your family and friends to let them know that you are walking this Thanksgiving, and that they can join your team or donate to your team. The Walk to End Hunger recently created a minute-long video meant to be a resource for participants in their outreach efforts. Videos are great attention-grabbers and display your message in a fun way! Check out the video here. We encourage you to use it to show that signing up for the walk is all it takes to become a hunger-fighting superhero!